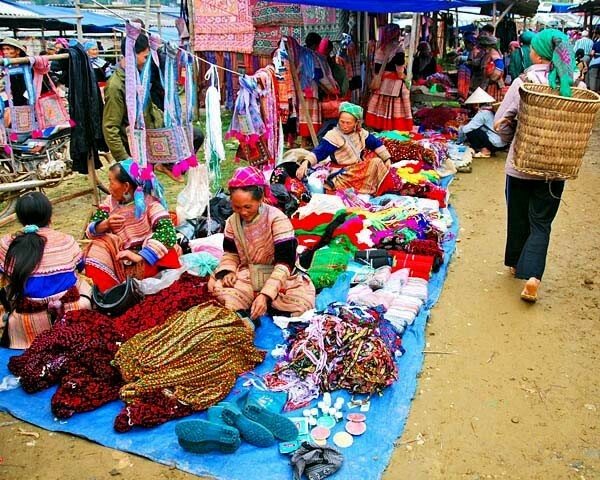 If your travel date to Sapa on Saturday or Sunday, so you can combine the discovery of Suoi Ho, Matra and Taphin villages which are inhabited by Black Hmong and Red Dzao tribes, and explore Muong Hum market - the interesting local market frequented by Tu Di, Dao Tuyen, H’Nhi, Flower Hmong and Giay minorities and especially, it is one of mountain markets still retaining its pristine. Arrive in Lao Cai around 5:30 AM. 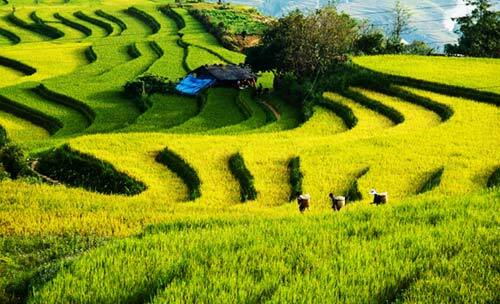 We will take 1 hour van ride uphill to hotel in the beautiful town of Sapa. You will take a shower, then have breakfast at the hotel before being free to discover the beautiful town or making a short rest at the hotel lobby. 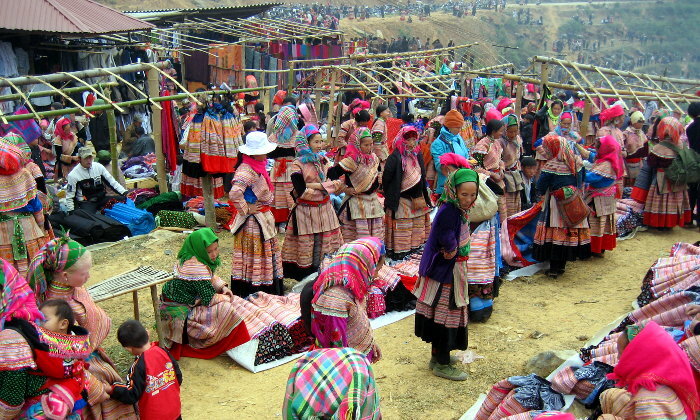 9:30 A.M you are transferred to Ma Tra Village where you start to have a short walk about 6 km along the mountain trails and village road to visit Suoi Ho, Matra and Taphin villages which are inhabited by Black Hmong and Red Dzao tribes. 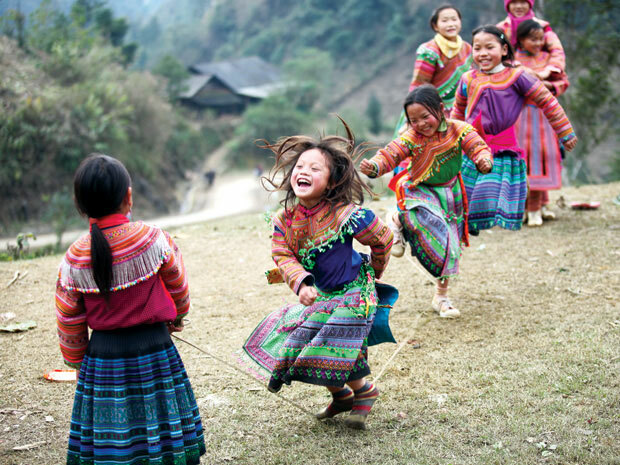 Along the way we can come in some schools as well as tribal houses to have experience of local Sapa life. 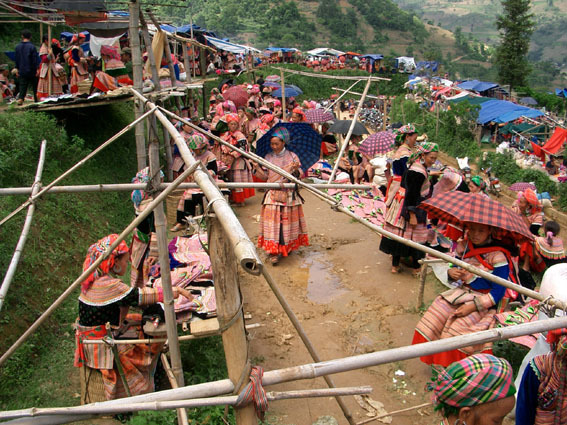 Moreover, the landscape, culture, custom and tradition of Black Hmong tribe of Suoi Ho and Matra villages are preserved from tourists so you can study the raw things here. Arriving in Taphin village around 5:00 P.M, after find out this village, you are picked up and transferred back to Sapa. Leaving Sa Pa early Sunday morning we drive by Russian jeep to Muong Hum Market The drive takes approx. 3 hours. 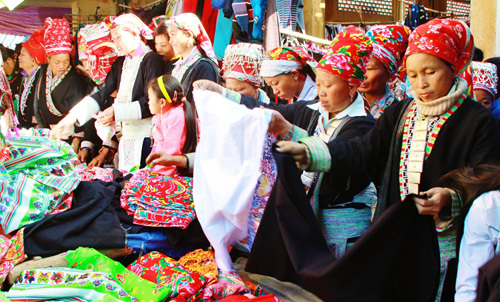 We visit this very interesting local market frequented by Tu Di, Dao Tuyen, H’Nhi, Flower Hmong and Giay minorities. We enjoy in a small local restaurant and after lunch we visit H’Nhi village. We walk around the village and it is possible to visit a local house. 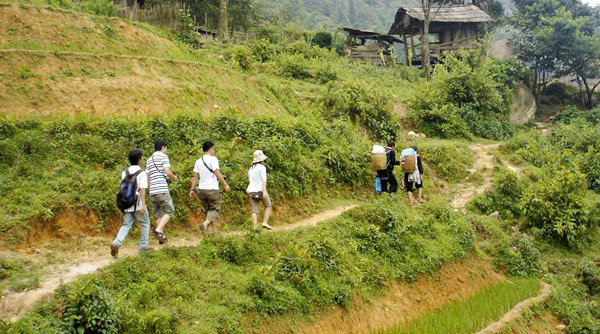 In the early afternoon the jeep takes us back to Lao Cai for your night train to Hanoi.